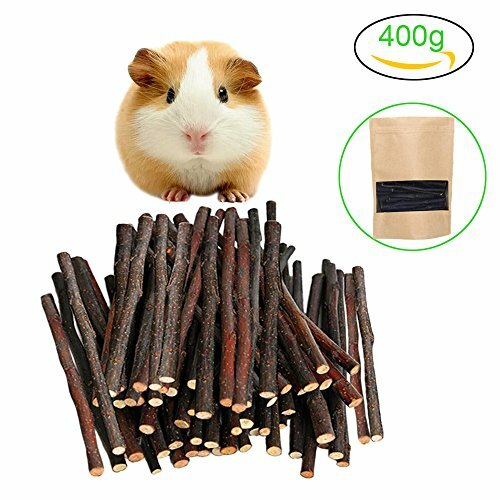 Natural Apple Chew Sticks are great for Chinchilla, Guinea Pigs, Hamsters, Rabbits and Other Small Animal Pets. 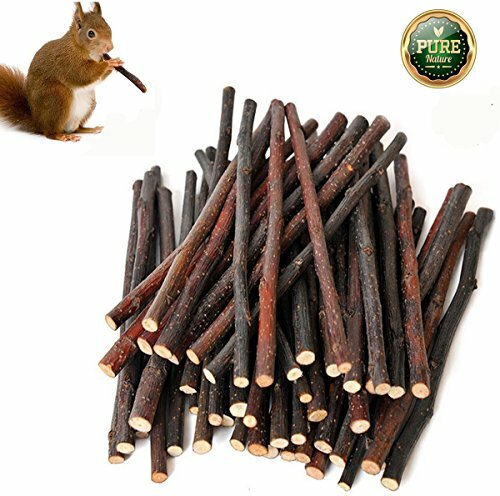 Safely and effectively help pets to meet the needs of molars, to avoid various diseases caused by long teeth, such as inflammation or anorexia, etc.But also can ease the pet's nervous and other negative emotions.Promise Strict Process To Ensure Wood Tree Branches Quality.Production Process: Sifting - Pruning - Soak - Rinse - Drying - Sortation - Packaging. 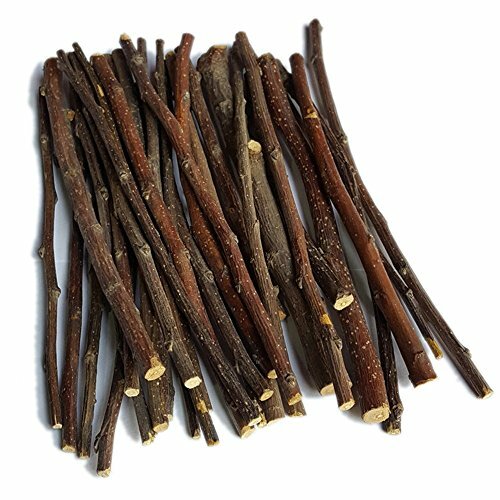 No Damp Mildew, Keep Dry, Can Be Stored For A Long Time.Package included: About 500g (17.6oz)Note: Natural material, Natural growth, Can not guarantee the same thickness. 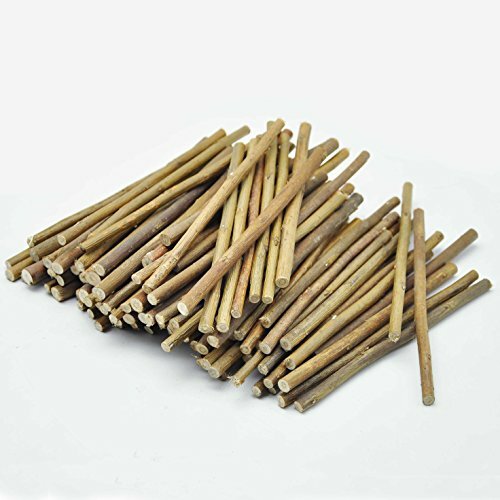 The Natural Apple Chew Sticks are great for Chinchilla, Guinea Pigs, Hamsters, Rabbits, Parrots and Other Small Pet. 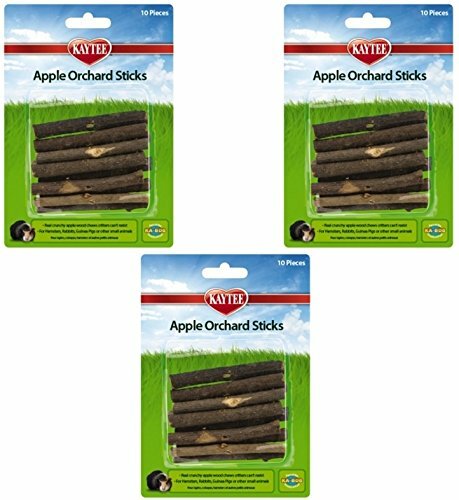 Niteangel Apple Chew Sticks made from real apple tree branches, these all-natural wood chews prevent boredom and help maintain healthy teeth for your pet. 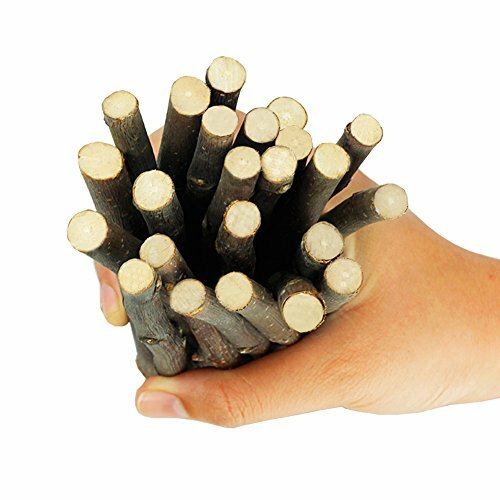 Package included: 60-70 natural apple tree branches Note: Natural material, Natural growth, Can not guarantee the same thickness. 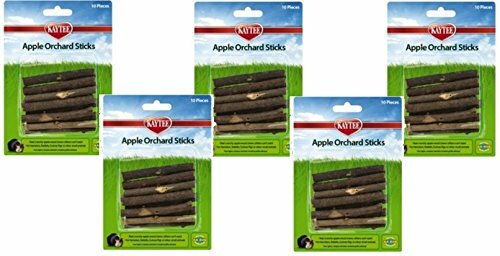 Apple Orchard Sticks prove that an apple a day will keep your critter at play These allnatural wood chews prevent boredom and help maintain healthy teeth for your pet. 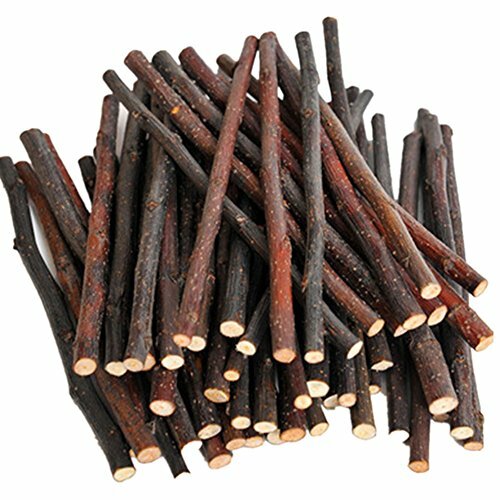 Apple Orchard Sticks are made from real apple trees. The branches of the trees are routinely pruned in order to insure the health of the tree and its fruit. 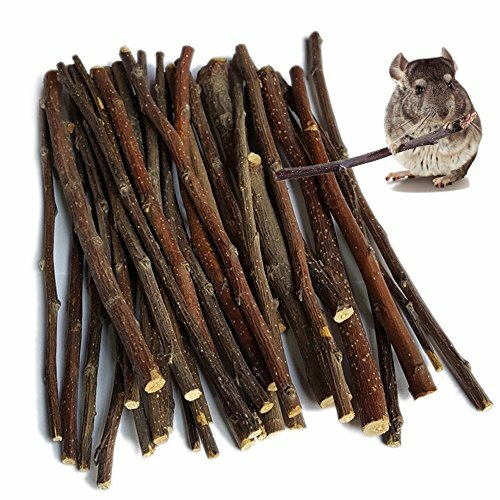 The pruning of the trees creates a regular supply of branches that many rodents and rabbits instinctively need and enjoy to chew on.AllNatural Apple Wood Promotes Clean and Healthy Teeth Completely Safe to Chew Ideal for Rabbits, Guinea Pigs, Chinchillas, Hamsters, Gerbils, or other similar sized critters.To use, simply slide several chews onto any Super Pet KaBob (sold separately) dispenser or place in your small pet's habitat.Made in China.Each package contains 10 pieces (approximately 3"L each). Comes in a pack of 3.